Is Google trying progressivelyto take down Amazon and eBay? Google justfew days back announced the addition of a “Buy Now” button on its paid sponsored search listings, and now has announced to introduce a feature “True Value” that will allow users to buy products showcased in YouTube videos ads. Sridhar Ramaswamy, SVP of ads and commerce at Google, revealed the new feature while speaking at a conference in San Francisco. The new feature is introduced for shopping and will show an ad banner beneath the video ad. Google wants viewers to shop rather than to skip the pre-roll video ads on Youtube. Although the ads will be displayed on Youtube video but clicking on buy option will redirect the user to the seller’s website where the product actually lands. Initially the feature will be tested by companies like Wayfair and Sephora. 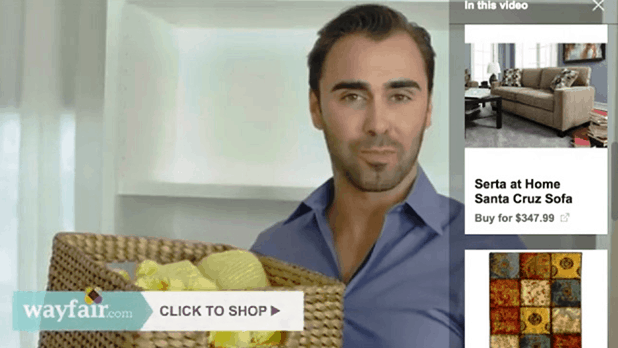 Wayfair said these new ad types generate three times the amount of revenue as standard video ads.